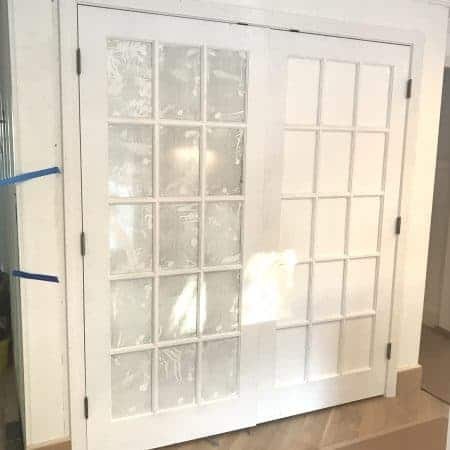 In last week’s kitchen progress report I shared a peek of our newly installed pantry doors. I was going to outfit them with wood shelves myself once I can locate my tools again (our garage is filled with furniture at the moment! ), but in the interest of finishing up the very long renovation process, we asked Ken, our contractor, to built them for us instead. 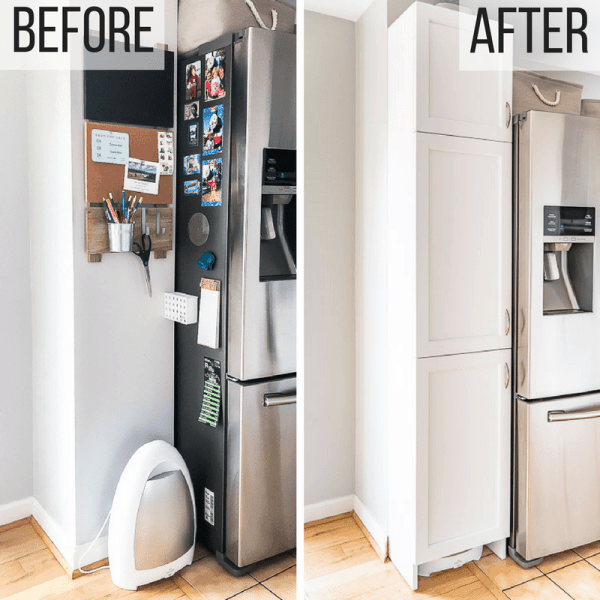 I’ve been doing some intense thinking about how best to optimize this space in our new kitchen, and asked my design and DIY blogging friends if they had any smart ideas for me – ummmm, yes indeed they did!! 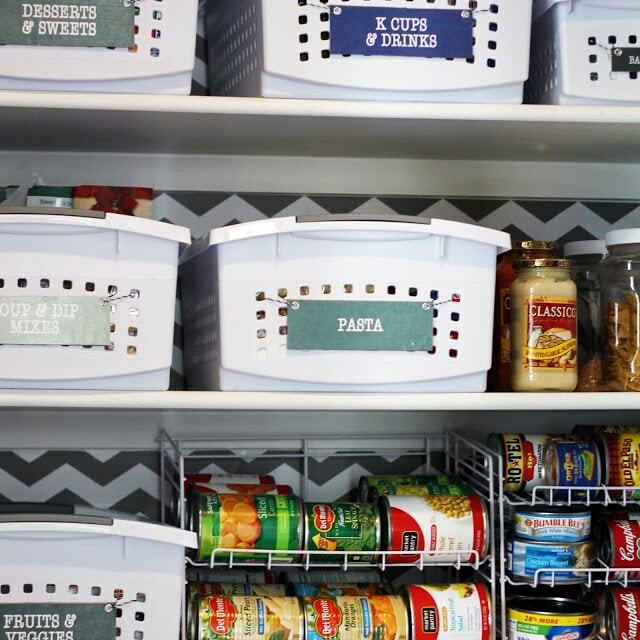 Check out all this great inspiration – many of these ideas will be making their way into our pantry! 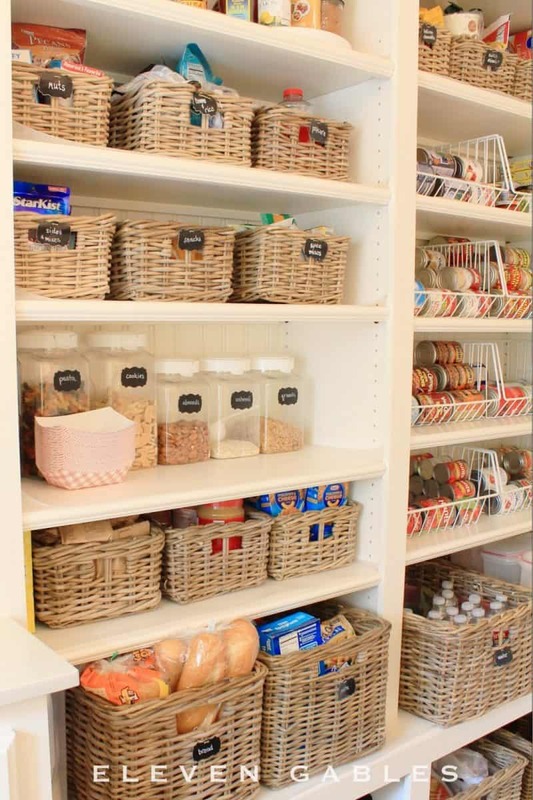 Emily’s pantry/laundry room at Eleven Gables is one of my all time favorites – so well thought out and beautiful too! Don’t miss the rest of this pretty and hard working space. 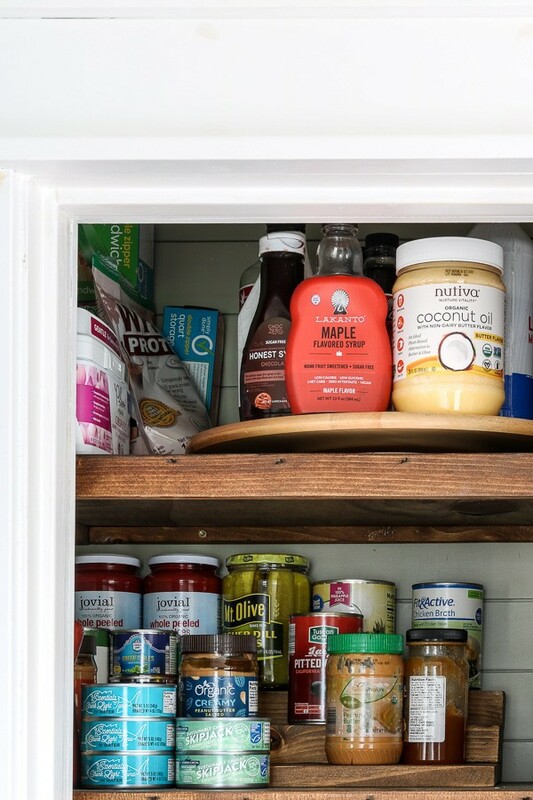 Shiplap, stained wood shelves and new containers completely refresh Brooke’s pantry at Cribbs Style. A simple and clever way to build tiered can storage from Morgan and Sean at Charleston Crafted. 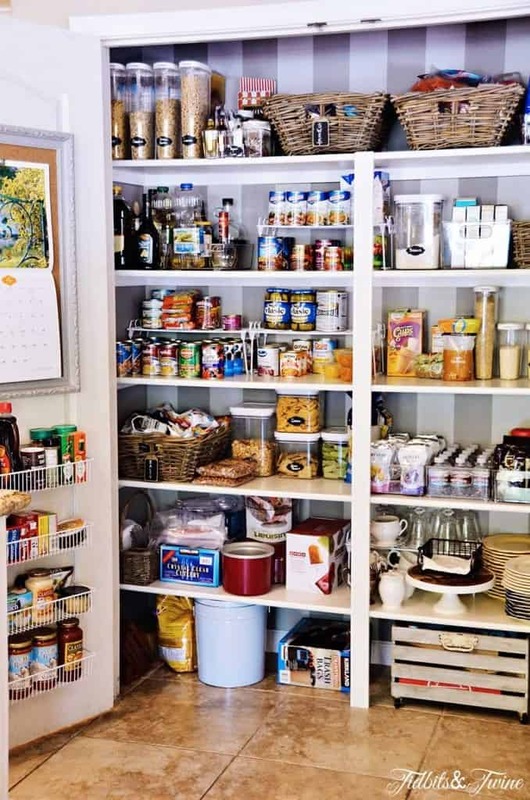 Another house, another pantry by Charleston Crafted – this one smartly optimizes the space with narrow shelves on one wall that hold spices. 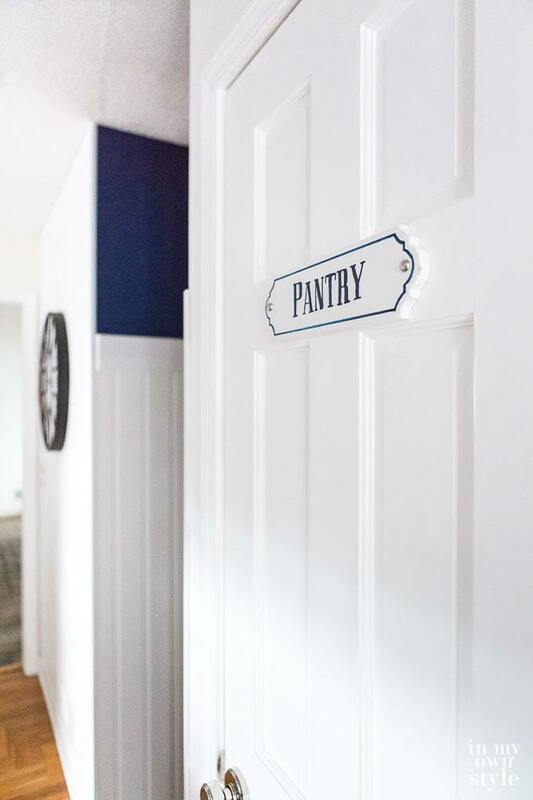 Paint, removable wallpaper and some major organization transformed this pantry by Kim at Tidbits & Twine. 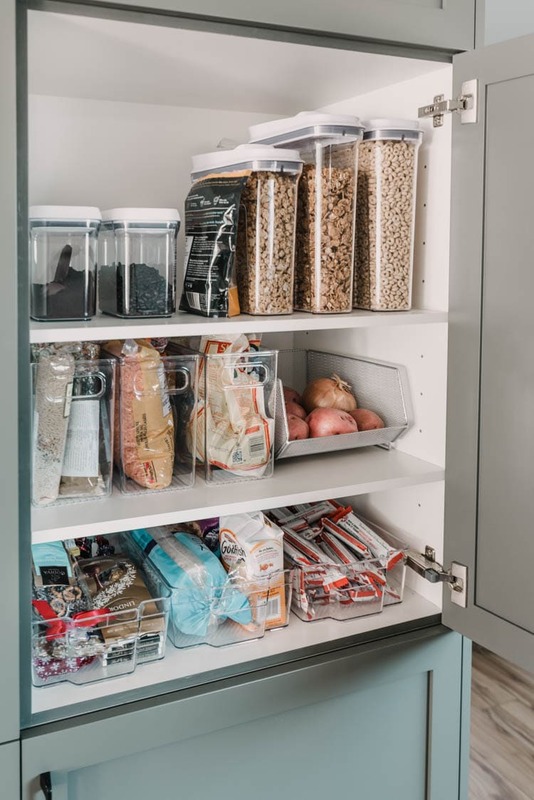 Natalie from A Turtle’s Life For Me has such a fantastic before and after – love the addition of vertical storage for cookie sheets! 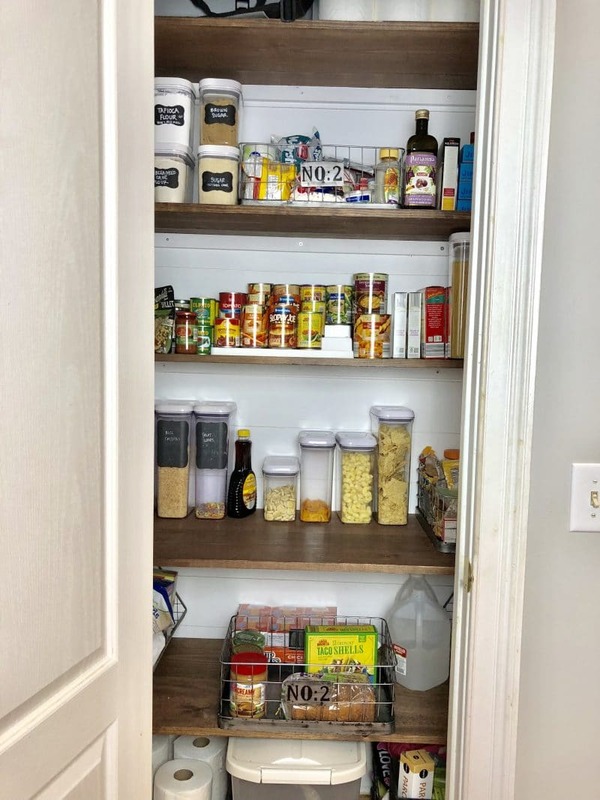 This small closet by Diane at In My Own Style uses both the door and shelves to maximize storage, and how cute is the Pantry sign that she made? 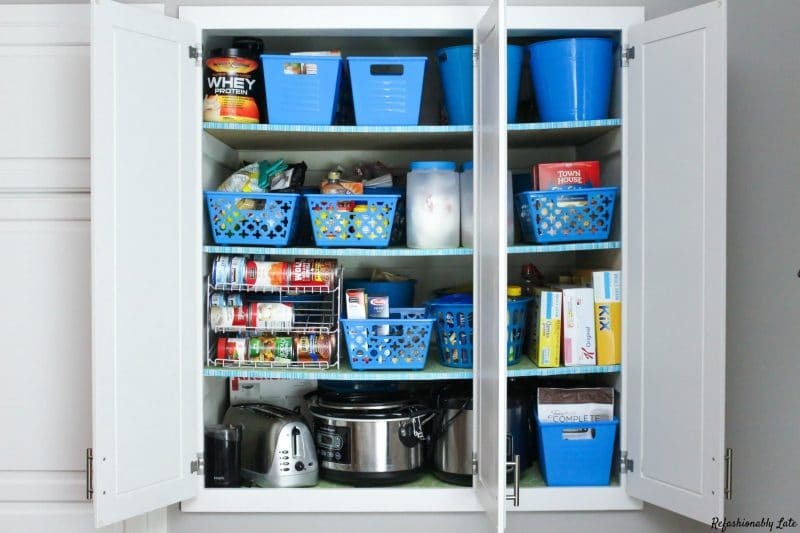 Check out this One Room Challenge pantry closet makeover over at Living Letter Home. 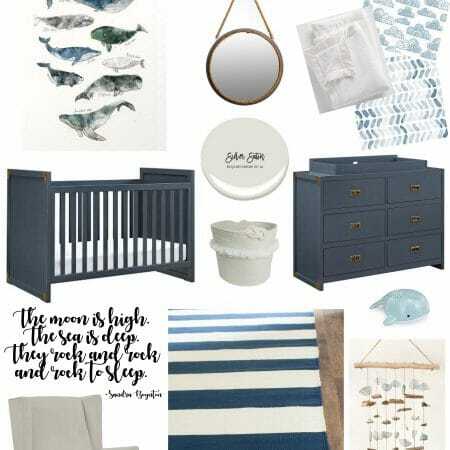 I love the DIY tiered storage that is stained to match the shelves and am definitely borrowing this idea from Carmen! 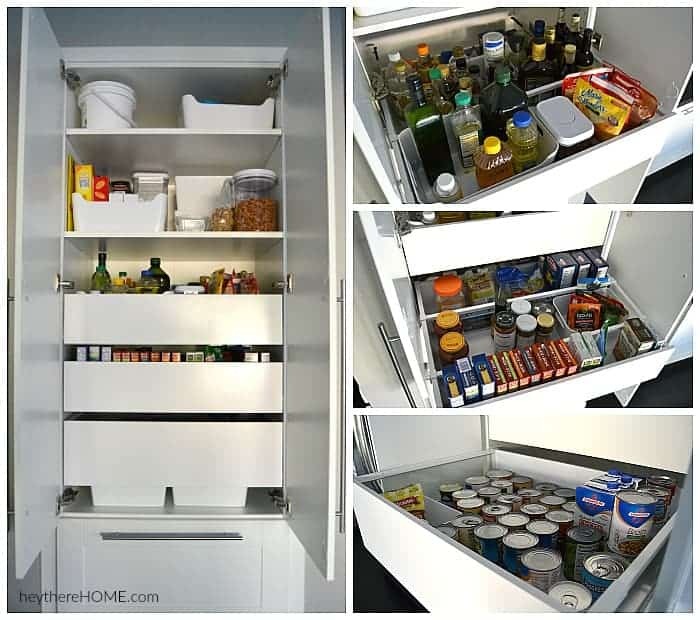 This complete pantry remodel by Corey at Hey There Home utilizes Ikea cabinets and features roll out shelves and tons of smart storage. Annie at DIY Decor Mom added the Elfa system to make her deep shelves much easier to navigate. So smart and tidy looking! 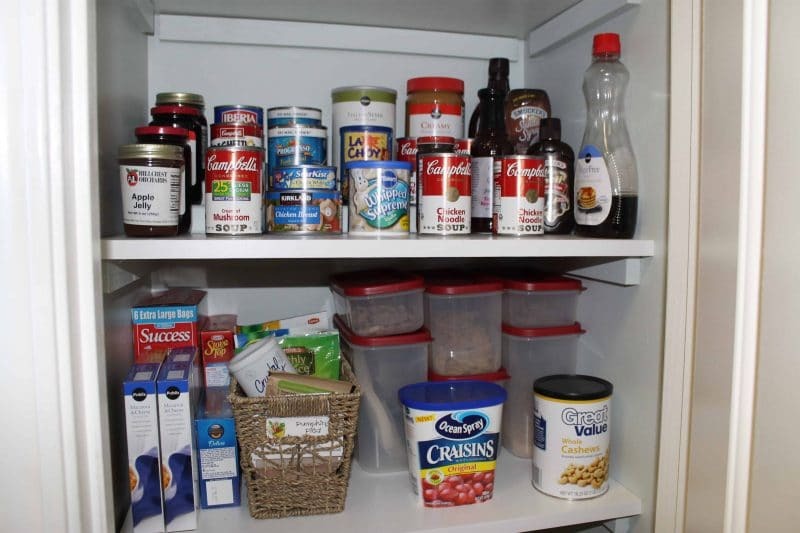 Angela’s closet re-organization post at Blue i Style is filled with practical tips and affordable containers to get your pantry contents under control. 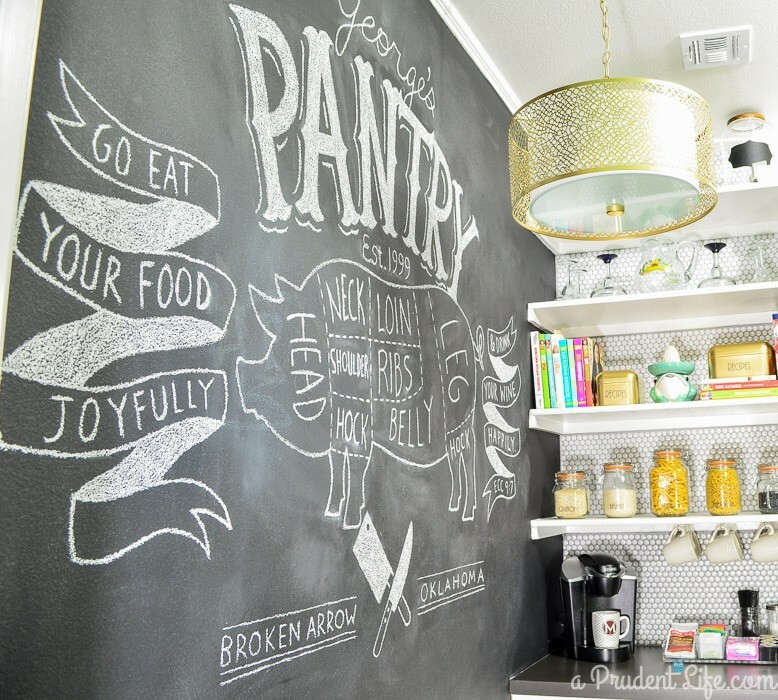 I love how this chalkboard wall, light fixture and styling take Melissa’s walk-in pantry up a notch at The Polished Habitat! 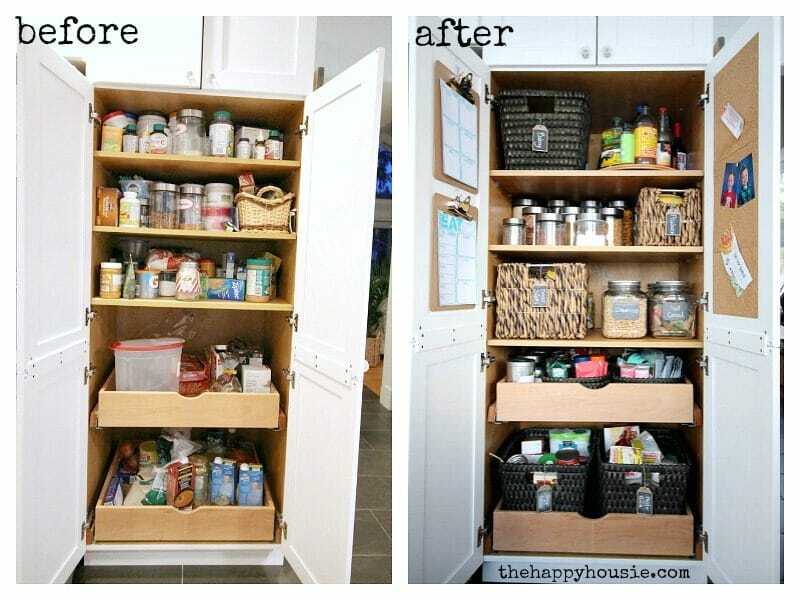 This pantry makeover by Ruthie at Refashionably Late makes the most of cabinets built into the wall. Don’t underestimate the power of paint and a few bins!! 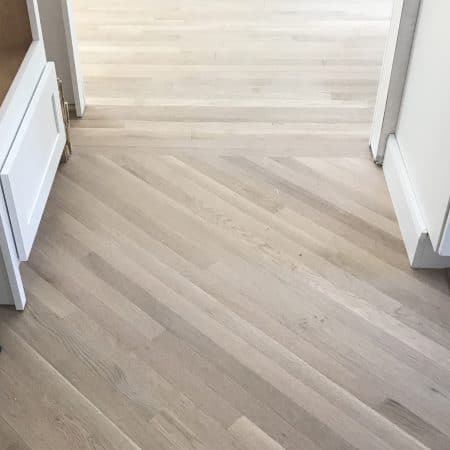 Vineta at The Handyman’s Daughter built a custom pantry from scratch to house this little item that is rocking my world right now – an automatic toe kick vacuum!! Amazing. 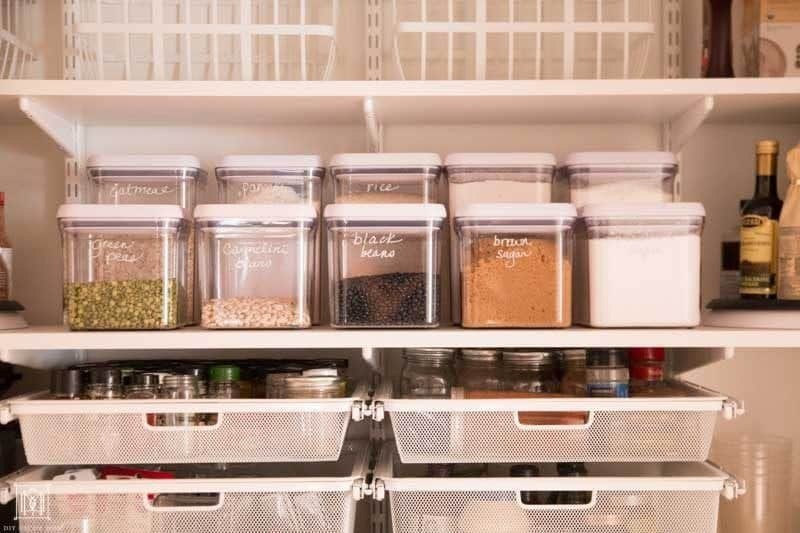 Colleen at Lemon Thistle has a beautiful brand new kitchen and organized her pantry with some smart containers that allow you to actually see what’s in there. I definitely need to invest in a few of these! Last but not least!!! 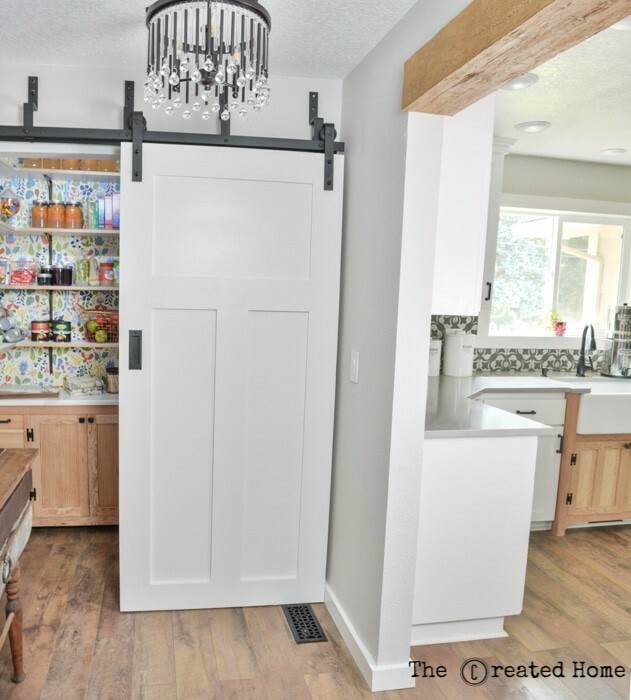 RUN don’t walk over to The Created Home and check out this DIY pantry/laundry room space complete with fantastically fun and cheerful wallpaper from Anthropologie! 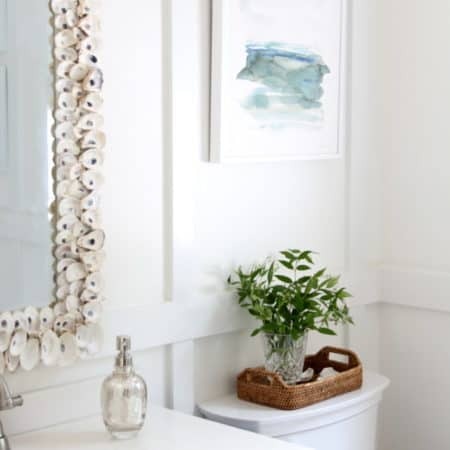 SUCH a great use of the space and also a beautiful addition to a home! So many do-able and clever ideas, right??? 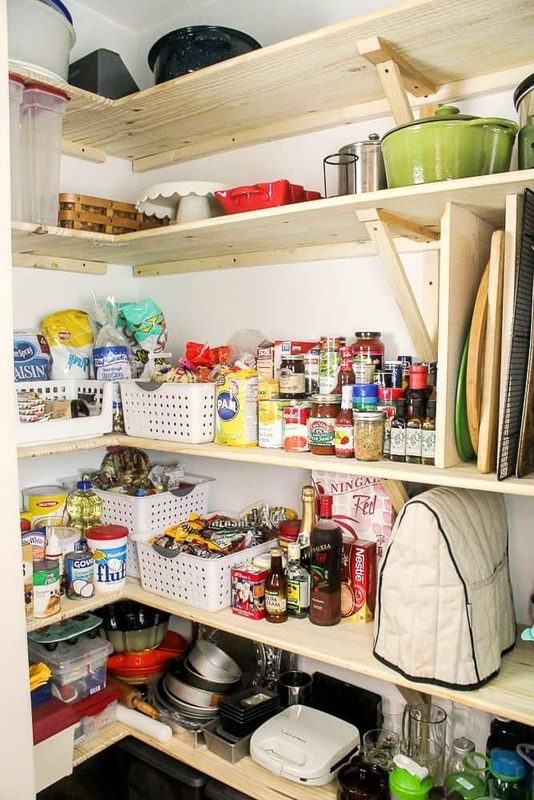 I have already bought a bunch of containers for our pantry and as soon as I get my garage back I’ll be building a few of these simple DIYs above like Carmen’s tiered can storage shelves. I’ll be back this weekend with a kitchen update – our floors are stained and getting sealed as I type, can’t wait to show you the outcome! Oh gosh, Lisa thank you so much for including me!!!! 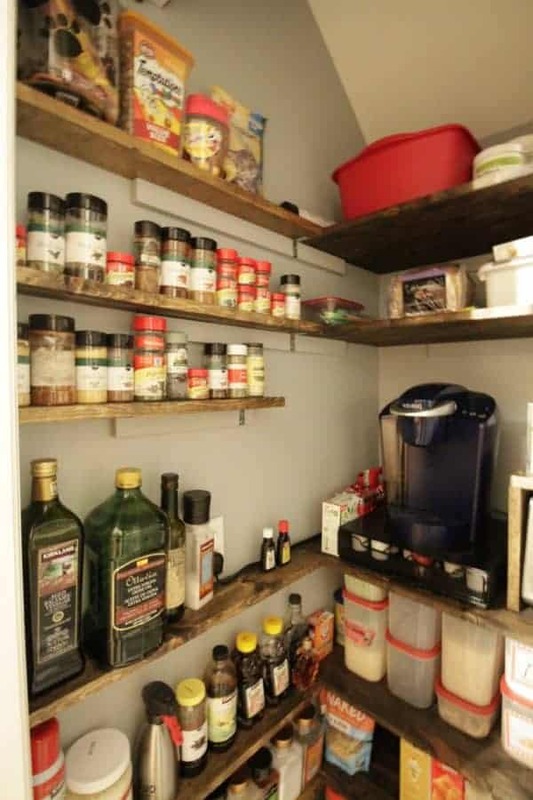 Thank you for sharing your beautiful pantry Carmen!